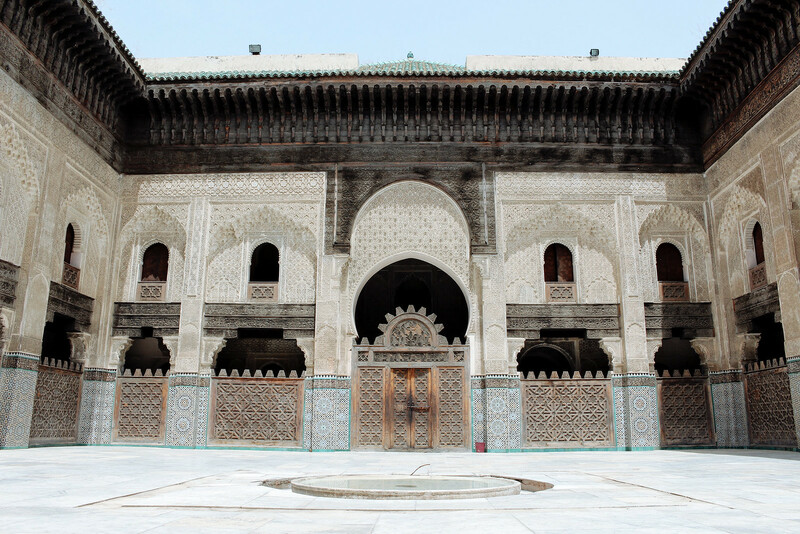 Fes is traditionally known as the cultural capital and home to the world's first university, University of Al Quaraouiyine, which was established in 859AD. Besides religious studies, the university also focused on math, science and language, and hosts student quarters within its compounds as well. 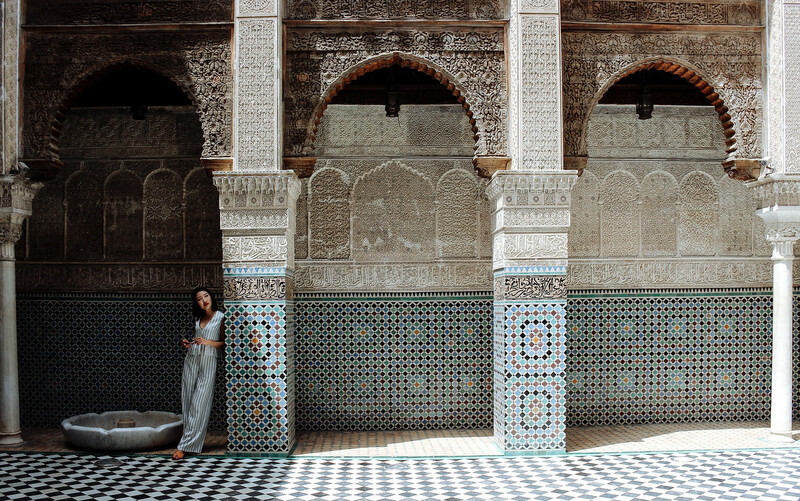 Besides the university, Fes also has the highest number of medersas (religious schools) in Morocco, hence I would highly recommend you stop by this city! 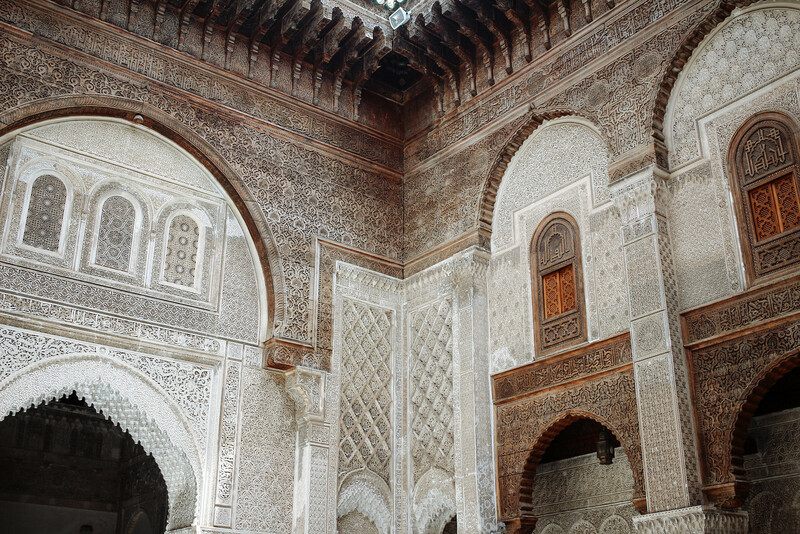 We spent 2 days in Fes, which was enough to see all the sights. 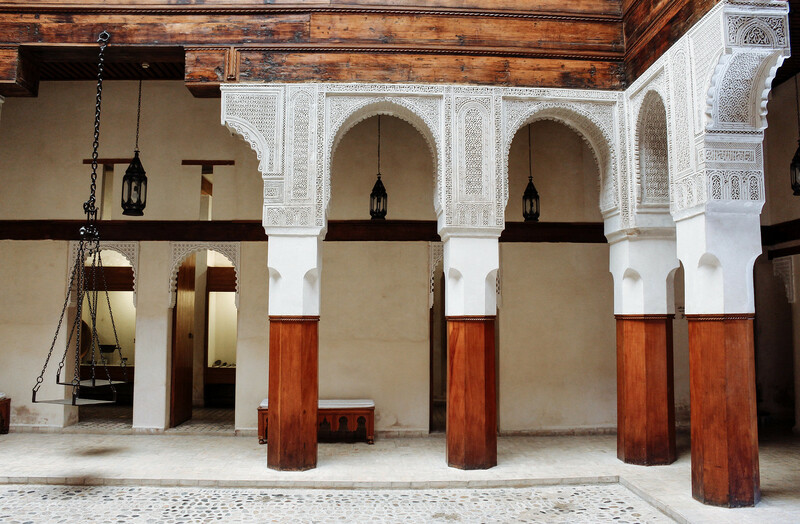 The Nejjarine Museum was converted out from an old inn, located in the traditional art and craft area of the medina. I especially enjoyed the intricate woodwork and columns that formed the basis of this building. 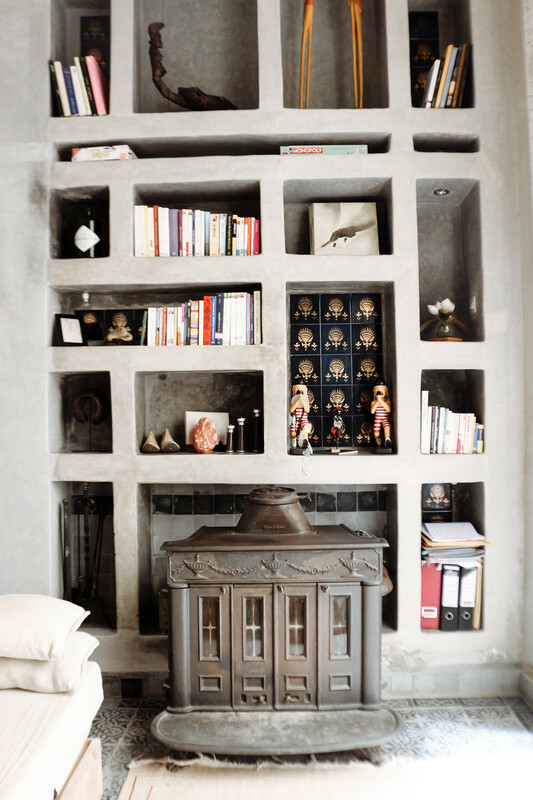 Within it, houses the history of woodwork through the ages of Morocco. The museum is located within the woodworking district of Fes and you can find many intricately carved wood pieces here in the souk. I especially enjoyed Fes for its medersas which were a lot better maintained than the one in Marrakech. Its mosques are also especially beautiful, but we can only see it from the outside, since it is restricted to Muslims only. I loved Medersa Al Attarine for its black and white tiles vs other medersas which usually features marble floor. 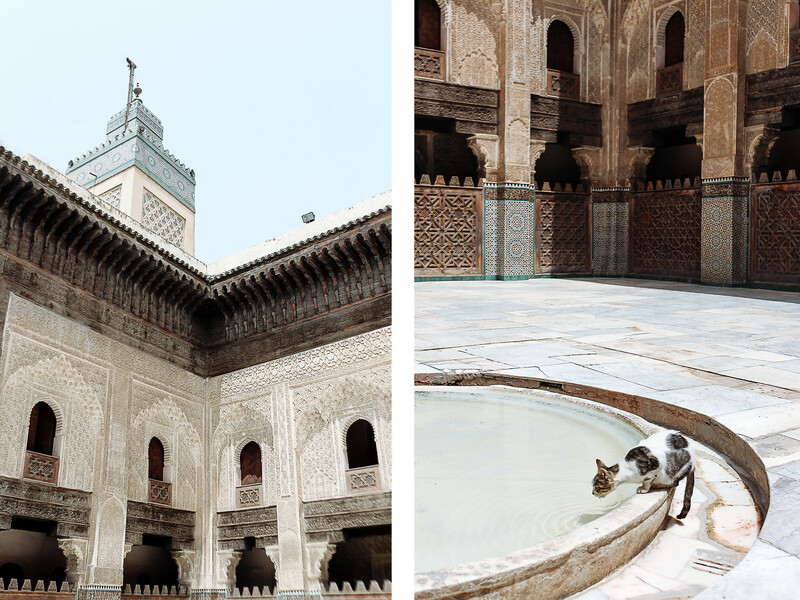 It also has a few marble fountains in different corners of the medersa, which makes it very classy. The woodworking in this medersa was also particularly impressive. Medersa Bou Inania is much bigger than Attarine, and offers a view of the spiral of the mosque. 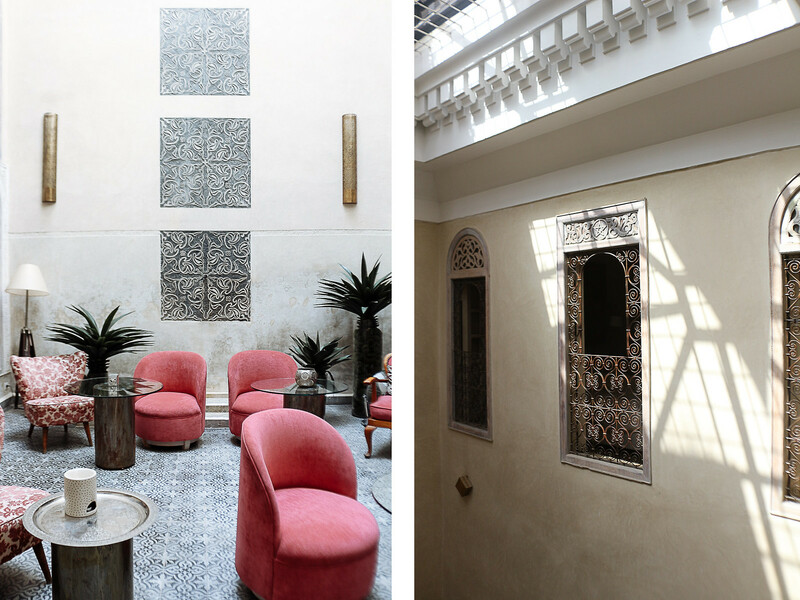 We had the whole merdersa to ourselves for the most part of time and we spent a good hour just studying the details and photographing the space. The 7 golden gates guards the Royal Palace, which is not open for visiting, but the golden gates still make for a sight. Also makes for a great photo opportunity! 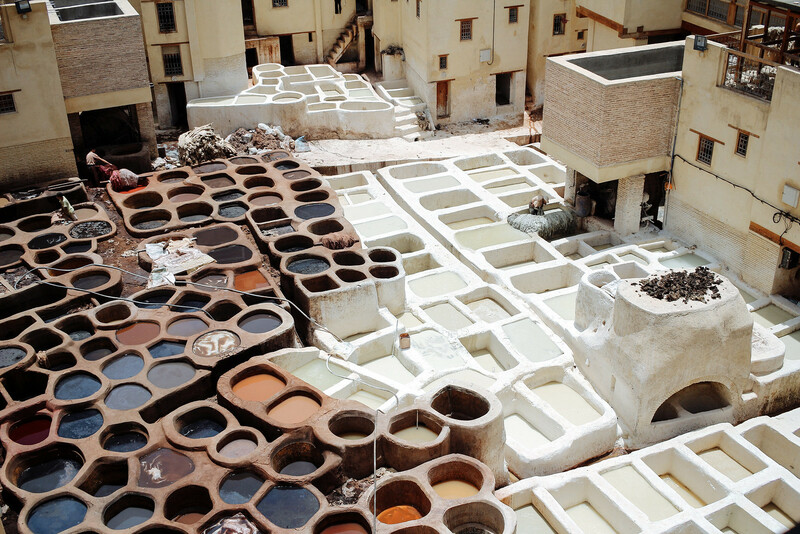 I highly recommend visiting the tanneries, despite its pungent smell, as it is really a sight to behold! Here, the methods of tanning have changed little since medieval times, and you can see the entire process of how they tan their leathers with natural dyes. The viewing terraces around the tanneries are all from leather co-operatives, with many of the salesmen being relatives of the workers in the tanneries. You can buy some really good leather goods here. The Tombs of Merinides may not look like much, but they are of significance, since it is the burial site of royal members of the Marinid dynasty, which dates back to 13 - 15 centuries. 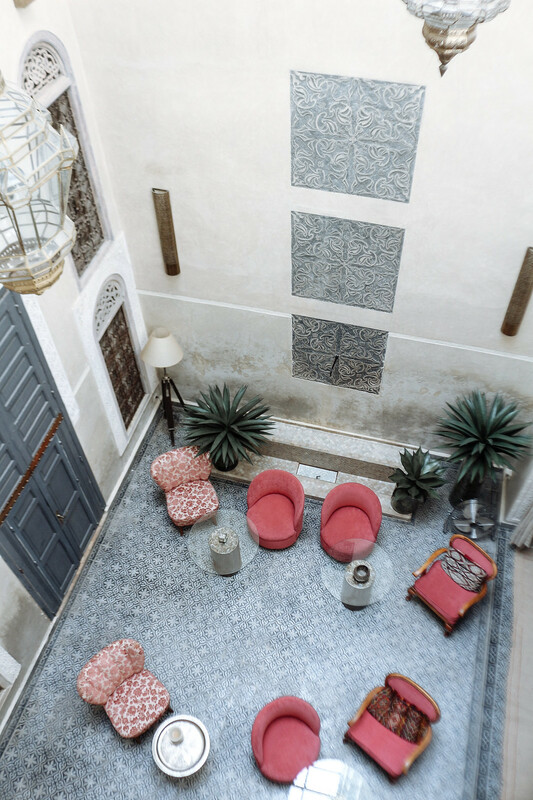 If offers a great bird's eye view of the entire Fes medina, which is 1200 years old. I especially loved the roof terrace, which features a hammock swing over a dip pool. Towards sunset, it is such a pleasure to relax on the swing with a view of the mountains in the distance. 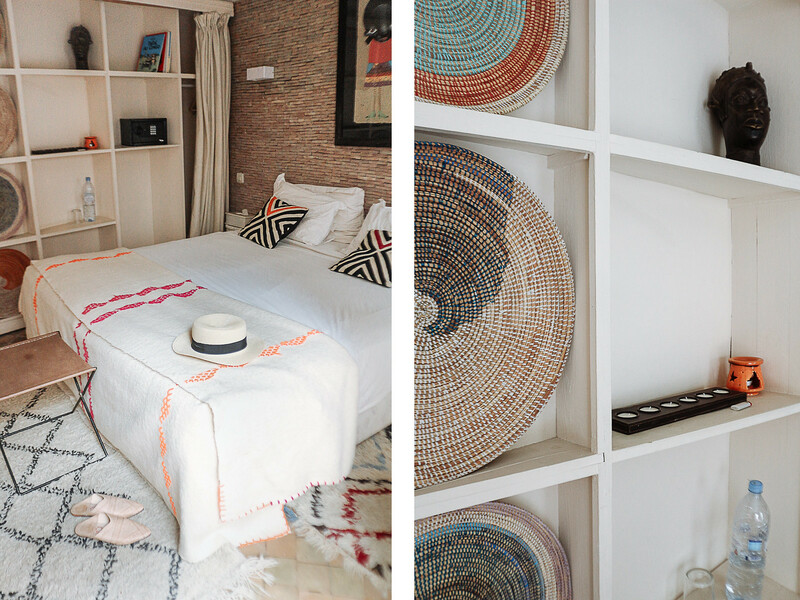 See Riad Anata's list of recommendations within the Fes medina here. I don't have much great photos of the restaurants/food we had in Fes, as we didn't stay long enough to try all the good restaurants there. The ones we went to were: Chez Rachid, Cafe Clock and The Ruined Garden. For more food locations, refer to my Google maps here. You can create a copy of this map and add your own pins! Hope this guide is helpful! Let me know any questions you may have in the comments below and I'll get back to you.